Recording, editing and mastering in a wonderful old Welsh long barn in our quiet valley setting. 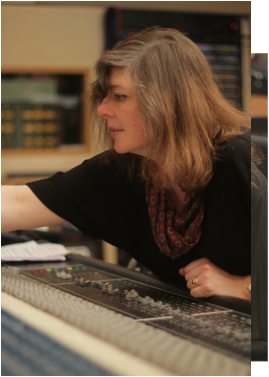 I have over 25 years experience recording mainly classical and jazz musicians, working with composers like Sir Peter Maxwell Davies and Graham Collier, and performers like John Wallace and Christopher Redgate . +I can record your projects, especially those with live musicians. Or, my favourite - a great big orchestra. +Edit from a marked score. Thanks to Will Kee for this and all other photos from British Grove. 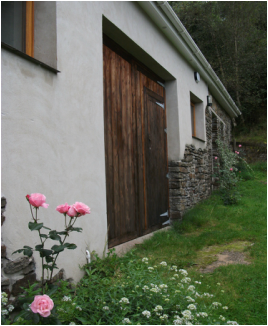 The barn has very high ceilings and stone walls in the main studio area and a cosy control room designed by Dave Harries. Over the years I have accumulated many pieces of equipment which are now obsolete, except to transfer those old demos and recordings still on DAT, ADAT and Tascam DA88. Quarter inch too, though tapes may need to be baked before transfer. 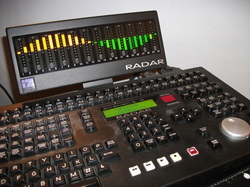 I use my lovely old DDA 'QMR' desk with ProTools v12.5 which is integrated with the Radar24. 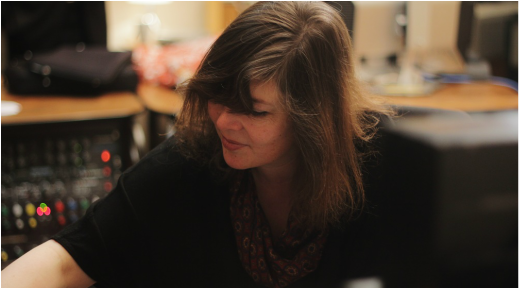 Editing and mastering on a SADiE. Microphones incude Neumann, Calrec, AKG and Electrovoice. Analogue outboard including Lexicon, Yamaha, TC electronics, BSS and Sony.